Just a heads-up everyone, the Steven Bomb episodes from January 30th have all been leaked. I won't protest against any of you watching them (Heck, I'm watching them just so I don't have to actively avoid spoilers) but you know the drill, please keep discussion about them using spoiler tags. Otherwise, if you plan to watch them when they're officially released, be careful where you tread. Recurrent Trotting and Thorn like this. Same, I've just finished watching them myself. I won't talk about them until another time and probably would have preferred an actual release over a leak, but I don't regret watching it. May just watch them all again very soon. "Steven's Dream" -- Wham! That was one hay of a way to come back from a hiatus. I'm probably going to have to re-watch it, as I'm sure I missed something with the amount of new stuff being thrown at us. The sillier Korea bits were nice light relief, at least. "Adventures in Light Distortion" -- another wham! moment (for me, anyway) when the first Ruby smacked into the ship windscreen, as well (of course) as the Human Zoo references. I did think the distorted flight sequence went on too long for an 11-minute cartoon, though. "Gem Heist" -- great to finally see some more Amethysts! Okay, I know that's not the core of this episode, but it's taken so long. And ooh, Yellow Diamond! Right now, she doesn't scare me as much as Jasper, but I imagine that will change... I also suspect feeling sorry for Blue Diamond may well be a bad idea, though that's just a hunch. "The Zoo" -- possibly sacrilege to say so in this of all threads, but I think "The Cutie Map" did the whole "creepy utopia" thing better. Different, but better. It didn't help that Little Voice sounded remarkably like pre-reformation Starlight Glimmer! Plus the whole "choosening" concept has been in about eight billion SF/fantasy stories already. I can only hope there's more to it than we saw. "That Will Be All" -- I liked this one more, though. Still not as high on the wham! scale as the first two in the bomb, but it was nice to get a happy ending (for now). A bit disappointed by the Diamonds' song, though: it was nowhere near the best SU's done. I'dLikeToBeATree and Thorn like this. That Will Be All was amazing - tbh, when I first saw the leaks of Blue Diamond crying I was a bit worried they were going to reform her too - again, I'm cool with reformed villains, but not ALL the villains! MLP def has this problem too - but it was way more complex than that. I always pictured the Diamonds as super ~logical~ and unfeeling, but it's fascinating to know they actually care(d) about each other, and I really enjoyed the song - it really felt different to the other SU songs in a good way, it had more of an...alien-like feel to it? with the Pearls' nasally voices (I also love Yellow Pearl and her faces and ~dramatic poses, and YP/BP dancing!!) which suited the Diamonds really well. Recurrent Trotting, Thorn and Loganberry like this. There's a vaping shop in Worcester named "Blue Diamond". 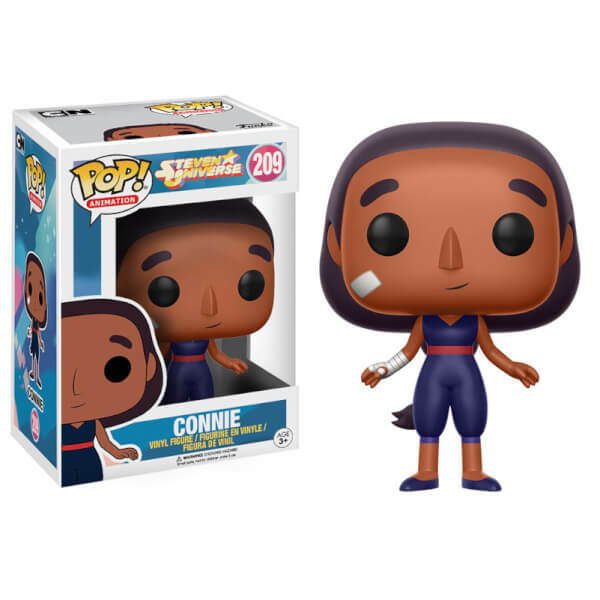 Seems that Funko Pops of Connie, Peridot and Lapis might be coming out. Bexy164 and Thorn like this. Source please? I must know. A toy show in the US. I heard about it via a Youtube video: link. It's talked about around the 20-minute mark. Ooooh. I still need to get Garnet and Pearl for my own collection, but I'll need the other three if they happen. Lapis is easily my favourite of these. Oh, Connie's in her fighting outfit? Hm. I much prefer her default one, but okay. 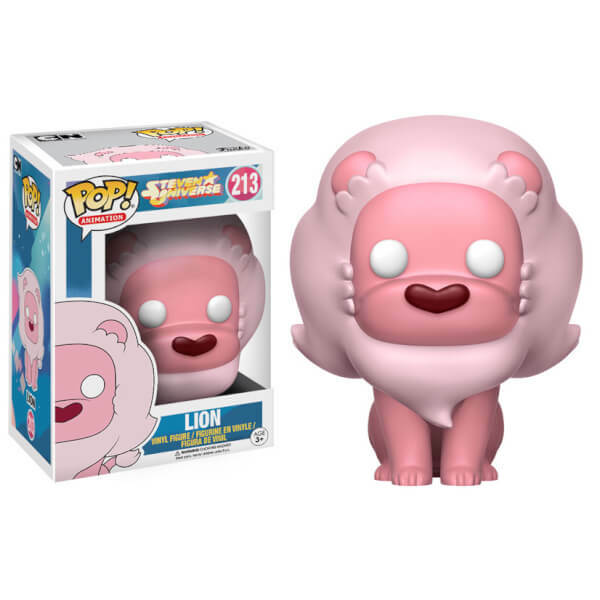 Lion with the white eyes looks a bit... blind. Not much of a fan. 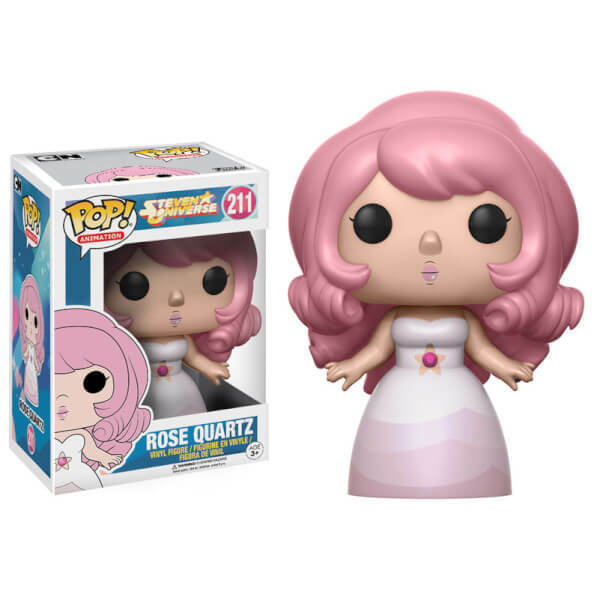 Rose's nose is a bit odd, it's much more... stick-outy than in the show. Peri and Lapis look absolutely lovely though. 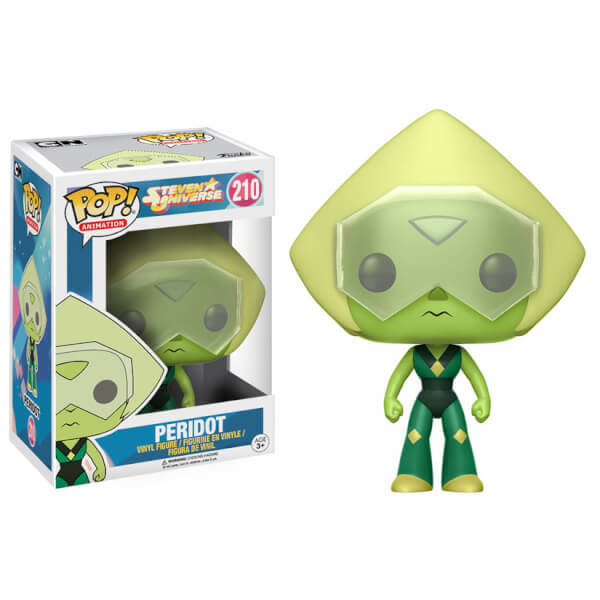 I hope they do a Peridot variant with limb enhancers too. As for the show itself - I've actually stopped watching involuntarily. I want to see the new eps but I have really bad anxiety about getting a virus from watching it. This was a fun one, though I think it could have used more scenarios than just washing cars. Guess you can't expect too much from an eleven-minute filler episode, but still. The real highlight though was just seeing everyone acting like the Gems (we all agree Pumpkin made a convincing Bird Mom? Excellent). Realising that they just need to be themselves rather than copy everyone else is as basic of a lesson as it gets, but I think all four of them played off each other nicely. Is it weird that I kind of want to see them team up again in the future? Caught up! I can finally join the thread instead of using my status! Omgomgomgfhdhdfhf What. A. Brilliant. Show. Wish I'd got into it earlier! Then he finally meets his mom! Kind of. I get the impression that was actually her consciousness, but who knows. Very feelsy episode, I like how this show is 'brave' enough to just be kind of sad when the story calls for it. 4 seasons in, and it seems like it's barely started. Lapis and Peridot are still background gems and not really integrated into the team (or the titles) but maybe they will be in time. We still have only really seen the tip of the iceberg with the rest of the gems or the overall story. Hopefully this means the show will go on for several more seasons yet! Steven managing to reason with the Cluster and get it to bubble itself. The reveal that Garnet is a fusion. 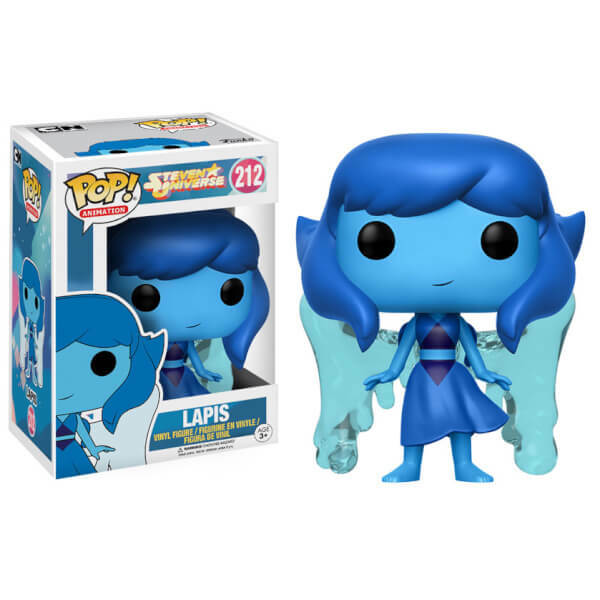 That utterly blew my mind, I was sat there going "oh... wow"
Lapis isn't a bad character, there's just not a lot to her. She is you could say, wishy washy, hehe. E: soo.. did I come at a time when everyone's stopped watching it? Recurrent Trotting, Bexy164 and Thorn like this. Worst thing about being caught up is only getting 11 minutes of S:U per week! the placement of the button to exclude intruders being not on the pilot's control panel is a piece of plot convenience though why would it require activation by anyone other than the pilot? Wrestling one was a good logical conclusion to that whole thing, and had some nice moments. Amethyst goofs around so much (which is good), it's always nice when we're treated to her sensitive side. I quite liked where I thought it was going though, i.e. you basically have the people there to make up a crew and take the series out into the stars and see this homeworld and whatnot. Maybe later!